2Wheel Chick: Etape du Tour goes to the Alps again! Great! So we now know the route of the 2018 Tour de France, and looking at the format it looks like it'll be a cracker. There'll be a cobbled section again with stage 9 (Arras to Roubaix) including sectors from the Paris-Roubaix classic, which could really shake-up the field - literally! 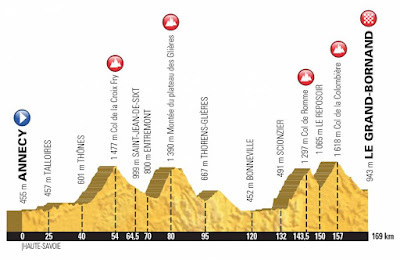 And I'm guessing as a nod to the Strade Bianche classic in Italy there's a new Alpine climb up to Plateau des Glieres that goes over a section of unmade road on Stage 10. On the subject of Stage 10, which goes from Annecy to Le Grand Bornand, this will also be the route for the Etape du Tour. 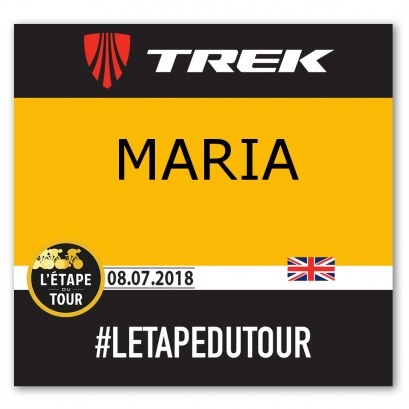 I am very pleased to know this, especially because I missed a trick by not doing the 2017 edition of L'Etape (Embrun to col d'Izoard - check), and had been resigned to the fact that in 2018 it would be in the Pyrenees, and I would have to wait until 2019 to ride L'Etape du Tour in the Alps. But in a lucky twist of fate we are back in the Savoy area. The route looks a beauty. It will start in Annecy, known as the "Little Venice of France" go around the lovely lake, then up over the Col de la Croix Fry, through the Aravis and the Saisies region, up the Montee du Plateau du Glieres, over the Col du Romme, then to tackle the biggest climb of the stage, Col de la Colombiere, before a long descent to Le Grand Bornand. It'll be a total distance of 169km (105.5 miles) with around 4,000m of climbing, making it a tough challenge and only slightly "easier" than the other big cyclosportive that's on the same day, La Marmotte. A water feature plus mountains is my favourite combination in a route. It's going to be a great day's biking. 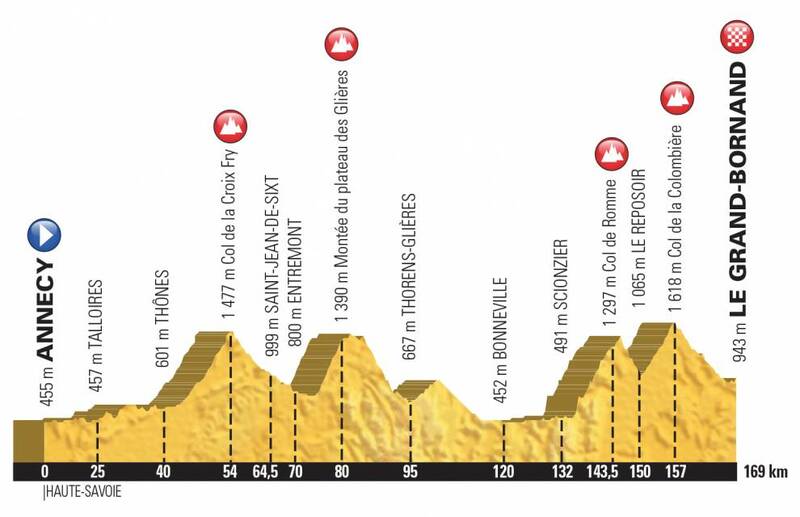 I haven't ridden that exact route of L'Etape du Tour before, but I have ridden a few of the climbs in that area. This casts my mind back to a couple of trips I did there. About 20 years ago I went on a triathlon training camp with UCPA, a French sports and outdoor activity holiday company. 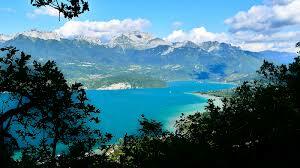 We were based in a village called St Jorioz right on the edge of the Lac d'Annecy. All our swimming was done in the lake, and then we did a mini triathlon which consisted of going up (and down) one of the local cols. I'm not sure which one we went up - it may have been up to a village called St Eustache, though all I remember was how tough I found the cycling. I was brand new to triathlon and club cycling at that time, but the guys were very supportive. Needless to say I came last in our race, which wasn't helped by the fact that I got lost on the bike course! As usual, I had hoped to return to St Jorioz the following year and do the camp again, but you always end up getting sucked into other activities....! Then about 10 years ago I rode an improvised version of the Route des Grands Alpes - the classic itinerary from Thonon les Bains, near Geneva, to Menton on the French Riviera. On my first day of the route I set off from Geneva on the most miseraable of days. It was pouring with rain, grey, and really not a day to be out. I recall going through the border crossing from Switzerland into France, and as the policeman waved me through I asked him if this was the right way to Cluses. He confirmed it was, but not without him giving me a bit of a lecture on how I should be careful out there, and this really wasn't a day for a young lady to be riding up into the mountains. I reassured him by saying I would be staying in the valley! There was no chance of that - I needed to get to Le Grand Bornand that night and that involved going over the Col de la Colombiere! So I just pressed on through the rain on my road bike, which was laiden with panniers and went through places like Annemasse, Bonneville, Scionzier and other villages that looked pretty despite the autumnal weather. Just before Cluses I made the right hand turn to start the climb. And that's basically all I did for about the next four hours! The visibility was so low I had no idea what the landscape around me was like. I just crawled up at about 4 miles per hour, through the mist and rain, just following the white line in front of me, and not being able to see more than about 5 metres ahead of me! After about an hour of climbing I had thought I was at the summit, but in fact I was only at a place called Le Reposoir. From there onwards the rain subsided, but it was still foggy. Luckily there was hardly any traffic around - well who would have wanted to be out in this drich weather?? Finally, after what seemed like an age, the pedalling became easier, then I didn't have to pedal at all as I realised I had reached the summit (I hadn't seen any sign saying I was at the col de la Colombiere) and I was making my decent to Le Grand Bornand. Maybe this was the time to celebrate reaching the top, but by heck was it freezing on the descent! Everything about me was shivering and my teeth were chattering. After about three miles I reached a village which I thought was Le Grand Bornand, and so I stopped there to look for accommodation. Shock, horror! Everything was closed. The place was like a ghostown. On no, where would I find a bed for the night?? Then after a little bit of wandering I around, I realised I wasn't actually in Le Grand Bornand, but a place called Samance. My stopping point was still another 4 miles down the hill. Good news, but not so good that I was freezing and really couldn't face more descending. So I rode uphill to get out of the village, and then rode back up the col de la Colombiere for another half-mile to try to work up some heat! I needed to find some warmth somehow! Then I was able to complete the descent and arrived in the main square which was full of life and buzzing. Very helpfully, there was a hotel right on the main square, the Hotel La Croix St Maurice, where they had one single room left and the hotel chef had just finished cooking the evening meal, so I bagged it! The hotel and the staff were very pleasant, but what was really great for me was the heated towel rail in the bathroom, which I put to very good use! The next day was lovely and had wall to wall sunshine. I went past places like St Jean de Sixt, La Clusaz, and over the Col des Aravis, and Col de Saisies, and through other pretty little ski resort villages before pushing on further south towards Cormet de Roselend and Bourg St Maurice. 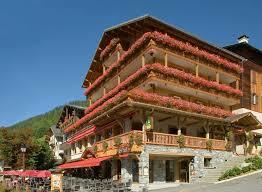 It had been time well spent in the Savoy area, and I look forward to being there for L'Etape du Tour. There'll be a great atmosphere. So I'm in! I've now just got to get on with it and train so that the broom wagon doesn't catch me on the day!